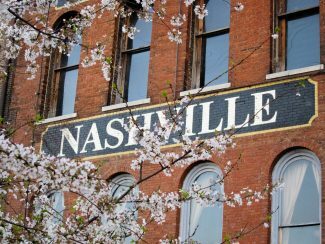 The excitement is building in Nashville, Tennessee this week in anticipation of the back-to-back-to-back loss prevention leadership meetings that are taking place to support LP Magazine, the Retail Industry Leaders Association (RILA), and the Loss Prevention Foundation. The annual events are once again expected to have strong attendance, with loss prevention leadership and solution providers on hand to provide their advice, ideas, expertise and feedback as we review 2017 performance and present strategic agendas as we move forward into 2018. An essential aspect of these meetings is to actively request input on previous content, potential topics, and how we can continue to improve our resources and our reach to bring the LP community the quality product that you have come to expect. Both board members and guests are asked to provide their thoughts and ideas on content, topics, delivery, and other important contributions to further enhance the information and quality provided to our readers. We will also review our new LP Magazine Online and the exciting new ways that we will be sharing the latest news and information with the loss prevention community, along with initial strategies to address the needs and interests of our readership as we march onward into 2018. RILA’s Asset Protection Leaders Council will host store visits and a recap meeting this afternoon, as well as a Thursday morning board meeting featuring industry-focused presentations, ongoing and upcoming initiatives, insights into many of the key issues faced by today’s loss prevention professionals, and other core topics that can help our industry move forward into the new year. As a trade association representing leading retail companies in each retail vertical, RILA has served as the premier advocate for America’s most sophisticated retailers, providing a forum for loss prevention leadership to solve common problems and share leading practices. For more on the Retail Industry Leaders Association, visit rila.org. The Loss Prevention Foundation takes center stage on Friday morning. Following a board-only session to begin the day, guests will be invited to attend the rest of the meeting presenters review committee reports and specific discussion points regarding the progress of the LPF, the continuing growth of the certification programs and exciting updates on the latest offerings from the Loss Prevention Foundation. The LPCertified (LPC) and LPQualified (LPQ) certifications continue to show an upward trend in course participation and certified members, with companies across the country showing a strong and growing commitment to the certification process. Academic support for certification has also continued to expand. As part of the vigorous, high-quality expectations established by the loss prevention community, the LPF has completed updates to the LPC and LPQ courses. Additionally, there will also be discussions regarding the latest industry-specific programs to be offered, which will include courses on Addressing Disruptive Behaviors and Organized Retail Crime developed with exceptional input from leading subject matter experts across the industry. If you have any questions or comments regarding the Loss Prevention Foundation or the LPC and LPQ courses, please visit losspreventionfoundation.org. Do you have any questions, comments or suggestions that you would like to share that can help support or improve any of these organizations? We would love to hear from you. Please feel free to share your thoughts by clicking here.